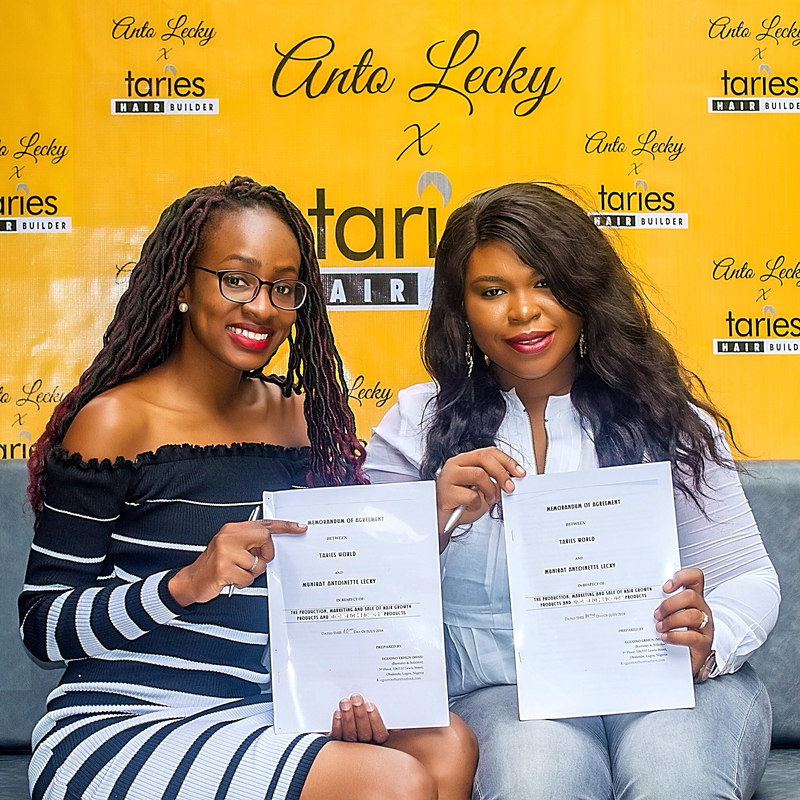 A few weeks ago, Anto Lecky was announced as a brand ambassador for “Taries Hair Builder” ( @hairbuilderbytaries ), a product that makes hair instantly fuller and thicker in seconds. 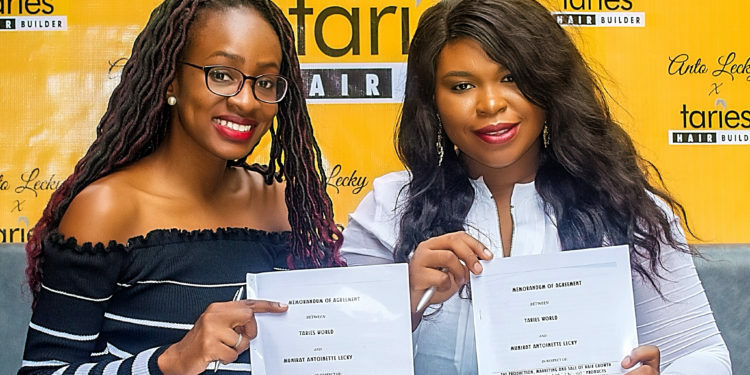 Anto Lecky and Taries World have taken a step further in their business relationship, the picture shows Anto Lecky with Tara Adesemowo, CEO of Taries World ( @tariesbeautylounge ) on the day of the execution of their Partnership agreement. Both will be working hand in hand to produce a new line of hair care products to be available for purchase online www.tarieshairbuilder.comand offline store from Tuesday, 4th of September 2018. 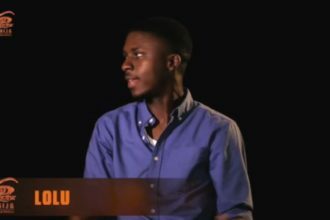 “I am always being asked how do I maintain my hair, how do I get long hair, how to grow front hair, so I knew people needed a solution to their hair issues. 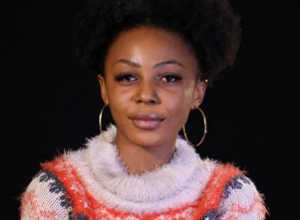 As a new beauty entrepreneur, I knew I wanted to partner with a reputable brand that can show me the way, and Tara with her success in beauty business was the first person to come to mind”, says Anto.